1997 Pontiac Grand Prix GT 3.8L - 78,000 miles. When driving my tachometer usually hovers above 2.2-2.4, but after a few seconds it will dip down to about 1.4 and not move at all, despite giving it more gas. Giving it more gas will cause the car to shake. I can completely remove my foot from the gas and re-apply pressure to get the RPM around 2.2-2.4 again, but it will dip down to 1.4 and the issue will repeat itself. 2nd Tell us is vehicle STOCK - no add on or modifications... this is the factory tach? No codes. I recently had to replace the forward wheel hubs and the VSS as they were throwing back codes, but since then I haven't had any others. It's also worth noting that this had been an issue before the hubs and VSS failed. If you step on the gas, it doesn't accelerate, and the engine is surging and running bad, you should check fuel pressure first. You will probably need to hang the fuel pressure test gauge on the windshield, so you can see it while your driving. If the pressure isn't within specifications(48-55psi) or drops while your accelerating, you have a low fuel pressure issue. 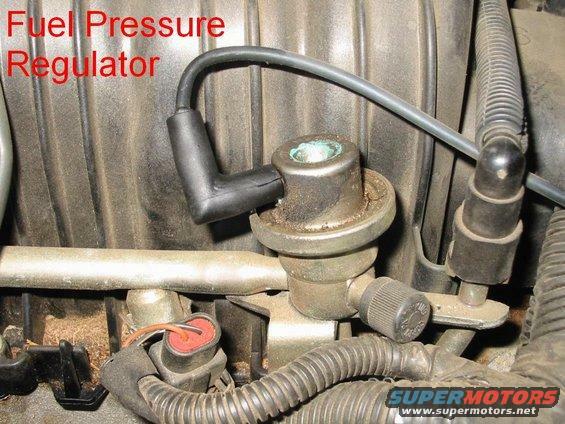 Note: Be sure your gauge isn't leaking and it is routed away from rotating or exhaust components. It would also be wise to have a fire extinguisher in your vehicle if you test drive with the gauge attached. We ended up tightening it up with some duct tape, not really thinking it would be an issue. I'll look around for a new L-shaped housing, but hopefully that's the source of my issue. I'm not sure what the name of the L-shaped bit is, can't seem to find anything on Google.
? "L" shaped bit? I don't see what you mean in those pics. Can it be fixed or made from angle iron from hardware? 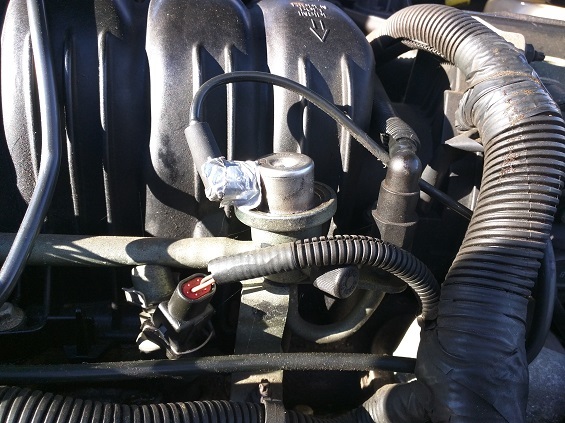 Hose elbow just might be EXACTLY a spark plug boot size! Gettin' old, have a box full of those too when you made your own and puts on ends needed. It won't fix your problem, but it should be replaced.